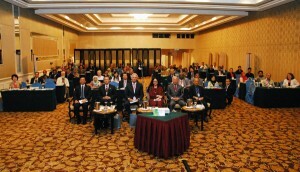 As part of on going about the UNESCO Sustainability programme, UNESCO Jakarta with the support of Japanese Fund-in-thrust and in collaboration with The National University of Malaysia, especially with the Institute for Environment and Development (LESTARI) and other institutions such as International Science, Technology and Innovation Centre for South-South Cooperation under the Auspices of UNESCO (ISTIC), Humid Tropic Centre Kuala Lumpur (HTCKL), UNESCO-IHP Malaysia, National Council of Professors (MPN) and Ministry of Higher Learning Malaysia (KPT) is organizing an International Workshop on Sustainability Science: A Science Based Approach to Realize the Future We Want for All. 2. Pedro Walpole – Research Director and Chair, Board of Trustees, Environmental Science for Social Change (ESSC): Towards greater human security in Mindanao by establishing strategic research partnerships to strengthen local governance in land and water management. 14:30-15:00 Discussion opening remarks byGretchen Kalonji, ADG/SC, Pilar Álvarez-Laso, ADG/SHS, Sharifah Hapsah, Vice Counsellor UKMHow to develop a new contract between science and society, including policy-makers and other stakeholder groups?